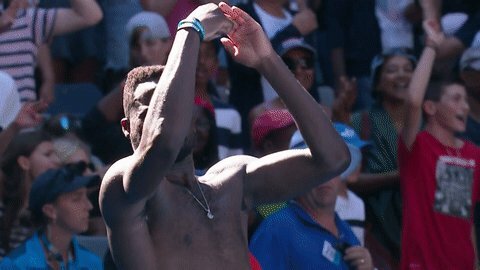 #AusOpen's tweet - ""I told my parents ten years ago that I was gonna do this, I was gonna change their lives and my life. Now I'm in the quarters of a slam at 21...I can't believe it, man." #AusOpen "
"I told my parents ten years ago that I was gonna do this, I was gonna change their lives and my life. Now I'm in the quarters of a slam at 21...I can't believe it, man."